They lack the official recognition of the Falasha Ethiopians, but a small group of Igbo Nigerians remain convinced they are part of one of the ten lost tribes of Israel. Small would be the word to emphasize. In a country almost entirely divided between Christian and Muslim believers, Jewish Nigerians are a distinct minority. 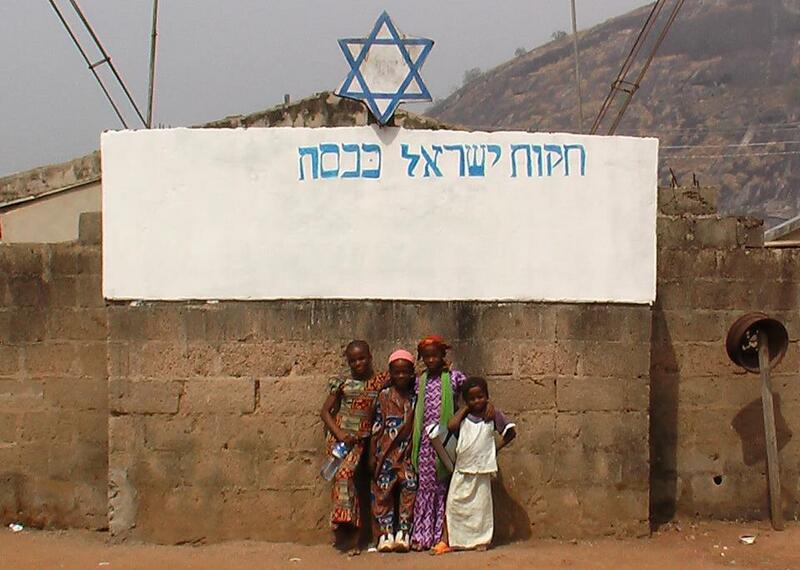 Nonetheless, growing numbers of Igbos are embracing Judaism as part of their heritage. 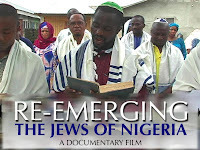 Jeff L. Lieberman documents their lives and faith in Re-Emerging: The Jews of Nigeria (trailer here), which screens as part of the 2012 African Diaspora International Film Festival in New York. It is complicated, but many Igbo believe they are the modern day descendants of the Tribe of Gad. It could certainly be possible, but it would have been one arduous trek. One has to have a little faith. Still, the Jewish Igbo point to striking ways their language and culture corresponds to Hebrew and Jewish religious practices. Tragically, the Igbo experience during the 1967-1970 Nigerian Civil War also somewhat paralleled that of European Jewry during World War II, with an estimated three million Igbo killed due to the massacres and economic blockades perpetrated by the Muslim north. Whether Eri, fifth son of Gad, really made it to Nigeria hardly matters to Rabbi Howard Gorin, who emerges in Re-Emerging as one of the most impassioned international advocates for the Jewish Igbos. Like Rabbi Gorin, the Jewish scholars who have visited the Igbo community describe the experience for Lieberman as inspiring and even humbling. Indeed, there are some surprisingly affecting moments in Re-Emerging. Lieberman also supplies a good deal of helpful cultural-historical context without bogging down the film in anthropological minutia. Nor does Lieberman turn a blind eye on the institutional corruption afflicting Nigeria at large. Yet, he raises the intriguing question of what Igbo Judaism might mean for African-Americans, many of whom are descended from captured Igbo slaves, without fully exploring the implications. Re-Emerging is an informative film that broadens one’s perspective on both the Jewish and African Diasporas. Indeed, it is a laudably inclusive selection of this year’s ADIFF that ought to expand the festival’s audience. 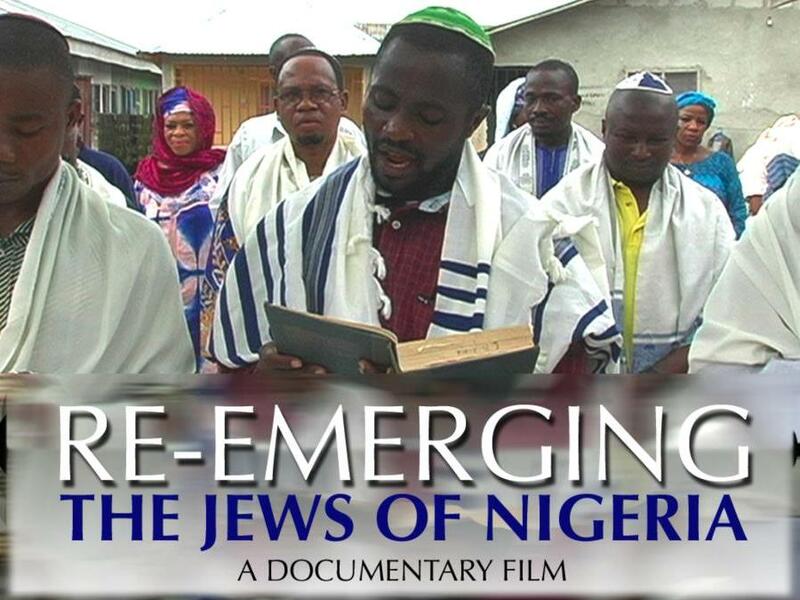 Recommended for multicultural and multi-faith audiences, Re-Emerging: The Jews of Nigeria screens next Monday (12/3) at the Columbia Teachers College Chapel as the 2012 ADIFF continues in venues throughout New York.